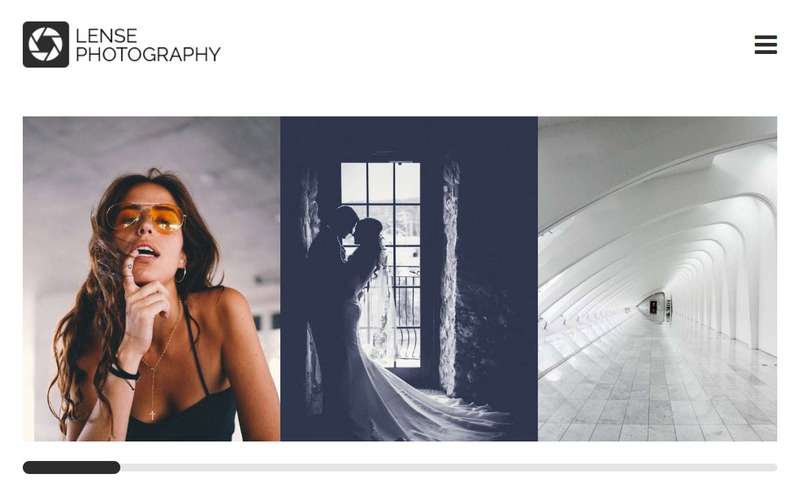 Shutter is a beautiful photography WordPress theme from Themefuse that is ideal for photographers, photo studios, designers, and photobloggers. Five demo concepts ship with the theme, each displaying a different approach to showcasing photographs, and all can be easily customized to create a unique website. Price: $49 (with free updates and a 30-day money back guarantee). Photography is the number one best selling photography WordPress theme on ThemeForest. This feature-rich theme comes with one-click demo content and a range of premium lightbox plugins to showcase your images in style. It also integrates with WooCommerce so you can monetize your website through photograph sales. Price: $59 (with six months support and future updates). Inspiro is a modern photography theme from WPZoom that has a focus on photography and video. A fullscreen slideshow supports YouTube and self-hosted videos, as well as images, and can be used on the homepage, in a gallery setting, or as a background. This will help your images stand out from the crowd and, therefore, grab the attention of your audience. Price: $69 (with 12 months of support and updates, as well as 14-day money back guarantee). RokoPhoto is another stunning WordPress photography theme that you can purchase from ThemeIsle. Extremely easy to set up and customize, you can use the live customizer to adjust the design details, colors, and much more, all in real-time. RokoPhoto also smoothly integrates with WooCommerce, enabling you to create an online photography store, without having to touch a line of code. Price: $99 for a year’s membership to the ThemeIsle club. 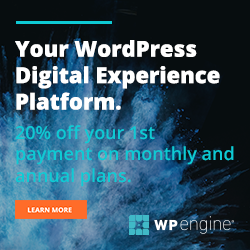 (This will give you access to 30+ premium WordPress themes and plugins, including RokoPhoto, as well as a year of updates and support). 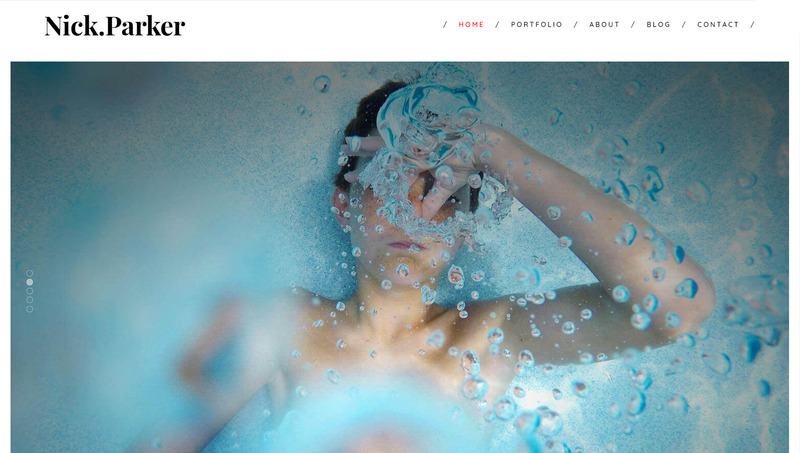 The WordPress theme Lense has been crafted by CSSIgniter especially to enable photographers to showcase their work. Lense provides multiple gallery layout options to select from, so you can create an array of truly unique image collections. Select from slideshows, tiled galleries, scrollers, and more, ensuring your image delivery connects with your audience. So what else has Lense got to offer? Price: $49 (with 12 months of support and updates). Fearless is one of the numerous WordPress photography themes designed by Imagely. This beautiful theme has a collapsible menu, ensuring nothing distracts from your images. Other basic features of Fearless include a homepage slideshow, and multiple blog, page, and post templates. Price: The basic Fearless theme can be purchased for $49. However, by joining the Imagely ‘Themes and Plugins’ club for $139, you will gain access to all the premium Imagely features. (Both options provide a year’s support and updates). Divi is an impressive multi-purpose theme from Elegant Themes. Offered alongside the Divi theme is a photography layout pack, which provides a demo design for a stunning photography website. Once installed, the demo content can then be customized using the Divi Builder, consequently enabling you to create a website to your exact specifications. Price: Join the Elegant Themes theme club for $89, which will give you access to all themes and plugins (with 12 months of support and updates). Photo Me is another great addition to this collection of WordPress photography themes. Created specifically to display photographs, this theme is packed full with useful features that will enhance your images and ensure a fast and fun design experience. Price: Photo Me can be purchased from ThemeForest for just $59 (with six months support and future updates). 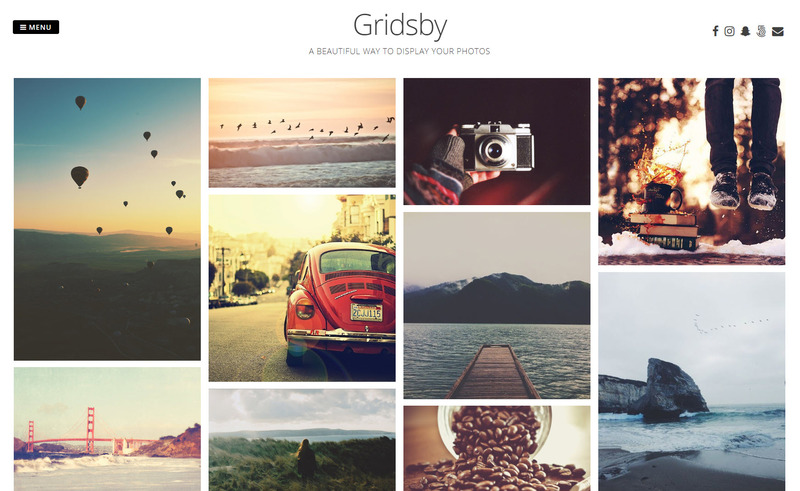 Gridsby is a WordPress photography theme from Modern Themes that can be downloaded for free from the WordPress repository. This attractive theme has a modern and minimalist look and feel, and will enable you to display your images in a Pinterest style gallery. By upgrading to the premium version of this theme, Gridsby Pro, you will then be able to sell your photographs on your site using the Easy Digital Downloads Plugin. Price: Free / $18 (with free updates and support forever). Infinite Photography is another free WordPress theme from ACME Themes. Perfect for photo blogging and sharing, Infinite Photography is a clean and elegant theme which can be easily customized and will provide a user-friendly experience. So what else does Infinite Photography offer? As you can see, there are a wide assortment of custom built WordPress photography themes available, that come complete with a range of different features that you may need for your project. When making a decision, opt for the theme that best suits your style of photography, and that will help your images connect with your audience. All of the above themes will ensure your website is beautiful and user-friendly – so which one will you choose? Are there any WordPress photography themes that you feel should have made this list? If so, please share them in the comments below.